After graduating with honors from the University of Pittsburgh, Josh joined a large investment management firm. He spent the next seven years working at several firms, serving as a leader and a mentor to both clients and other financial advisors. Josh earned multiple awards, including an Outstanding Leader Award from Ameriprise Financial and a President’s Citation from Prudential Financial. Despite his successful management career, Josh felt his skills would be better utilized in an independent advisory practice where he could serve his clients more efficiently. After establishing his own successful financial planning practice, Josh joined Stein Wealth Advisors in 2015. 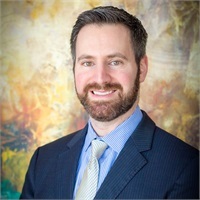 Josh specializes in retirement planning, asset management, 401(k) plans, insurance strategies, income distribution strategies and estate planning. Josh is a committed community business leader. He has been a featured speaker at many Pittsburgh-area businesses, providing corporate seminars that cover retirement planning and employee benefits. Josh lives in McMurray, with his wife, Melissa, and their two children, Jackson and Elle. Josh is an avid photographer, guitarist, chess player and cook.